The quintessentially English Sunday food of hungry families. The perfect way to trick small children into eating vegetables without full-fledged pea related meltdowns. As a child we would venture to my grandmothers each week. Troop in in our Sunday best. A family day with family food. The table would be filled with steaming trays, thick sauces and laughter over rice pudding. My own family is not so organised. Roasts are made on Mondays, or Tuesdays, sometimes once a fortnight. But they are always enjoyed. The great British bake off has rekindled our love of a Victoria Sponge. The roast dinner? Their popularity is dwindling and pubs and carvery’s are favoured over homemade dinners. Comforting and wholesome roasts should not be forgotten off the meal planner. Many shy away from whipping up a roast because a) they are hesitant to wash up the oily dishes afterwards and b) busy parents feel like they just don’t have the time! And are too tired to spend precious moments stuffing a chicken. Don’t be put off. You can knock together the PERFECT Sunday roast without breaking a sweat. We all have our hacks for taking the stress out of a roast. From one pan roast recipes with chunky chopped veg all thrown in to a roasting pan to shop cooked chicken. Some of us maybe be Yorkshire pudding experts or argue that a sausage has no place in a roast. We all have our opinions and our favourites. Jamie Oliver I am not and am a clumsy and haphazard cook. More taste than aesthetics. Because of the common distraction from a five year old in a cape things get burned, or over boiled. Over the last month I have got through two baking trays. Not even half a bottle of Fairy liquid could remove the burnt pan. So I have started simplifying the process. You do not have to spend four hours preparing a meal. You don’t even have to own an apron. Check out our top 6 roast dinner hacks. Slice veg in a food processor or get the children to help you. Who needs symmetrical carrots? You can buy ready cut mixed bags and Delia will not judge you (note this does up the price of the shopping). To peel or not to peel? If you are roasting then wash foods well and there is no need to spend hours removing skins! I don’t. Buy frozen peas and sweetcorn and steam them in a colander for added freshness. Chop up your root veg and slabs of onions and throw them all together in the oven. To speed things up par boiled them in salted water. Drain and let them air dry in the colander for a good 10 minutes. Give your potatoes a little scrape with a fork and put them in the oven. Buy them premade in bags and the same with Yorkies if you are tight on timeSave on the washing up. You could use disposable foil trays (if you remember to recycle them). I have become a convert to Bacofoil Baco-Shake non-stick foil. You don’t have to spend hours soaking off burnt parsnips and it is a healthier option in that you don’t need to add oil. It is also really good for making silver crowns with. Add Marmite to lamb. Honey and lemon to chicken and pour coke over gammon. Nope I have not been drinking these flavours work. My roast carrots, potatoes and parsnips are sprinkled with garlic, olive oil and honey. Also, herbs, sea salt and pepper. Peas come with butter and mint. Sprouts with bacon and nuts are not just at Christmas. Carrots love a dash of orange juice. A roast to me is more about the vegetables than the meat. Now some will curse me for saying it but I am a Bisto gravy fan. It does not have to be a simple, unconsidered addition to your meal. To your granules add a dash of Worcester sauce, squeeze of brown sauce, vegetable water and meat juices, a squirt of tomato puree or thicken with chopped tomatoes. Save time by adding shop bought mint sauce and condiments. No one will tell your Nan. Use leftover veg for bubble and squeak, vegetable muffins or Spanish omelettes. Pick chicken down for curries or good old lunch box sandwiches. Carcasses can be used to make soup if you have the time. Saving that stick it all in a slow cooker with some red wine and gravy and see what comes out in ten hours’ time. Sort your timings and cooking becomes easier. Meat first, then roast, then steam and make the gravy when the meat is resting. Sometimes with a roast less is more. 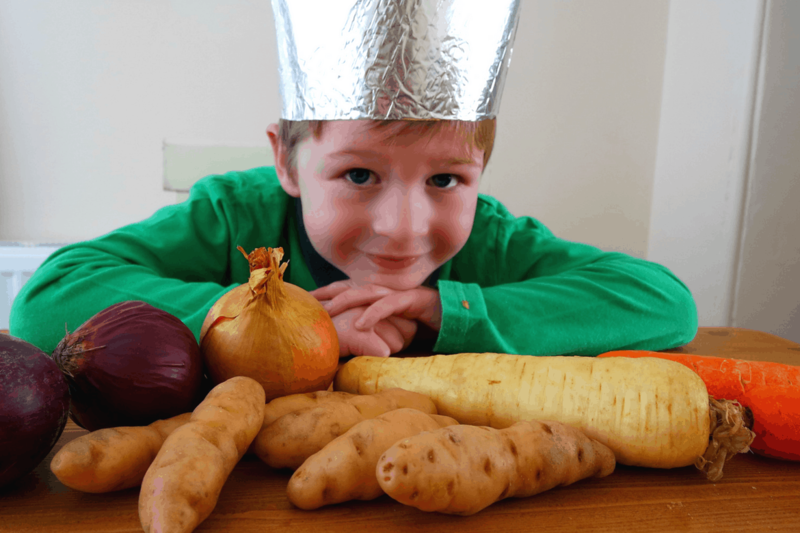 It’s always good to keep plates in the oven as no one likes cold food but around children this may not be practical so put your cooked foot in a bowl and cover with Baco-foil to keep warmer for longer! Don’t let roasts become extinct #NotjustforSundays! Do you have any tried and tested tricks and tips for cooking the perfect roast? Do you love them or hate them?